In order to understand how our service works, you will have to open the “How it Works” page. In this page, you will be able to access vital information regarding how the service works and precisely, you will be provided with a step by step guide on what it takes to have your paper completed. An understanding of the process of filling the order form is very important. First and foremost, the service offers two types of order forms and these are the short and long order forms. The short order form is found on the website’s first page. You will be required to first and foremost complete the short order form and and once you are through with this process you will be able to access the extended order form by clicking the “continue” button located at the right corner of the form. Once you reach this stage, the system will automatically set up an account for you in case you do not have one. The system will also come up with a password that is unique to your account and this information will be forwarded to your personal email. The next step will of course entail you having to visit the long order form and this form will give you additional options including selecting a deadline for the paper, uploading any additional information that the writer might require and other such details that are important to the writer. You can also access a video tutorial that is available in the “How It Works” page in order to learn more. Our system allows you to upload any additional resources to the writer that might be essential for the completion of the paper. Such material might include an additional draft, outline or additional information regarding the paper. In case you forget your password, you can solve this issue by clicking in the “Forgot Password” link that is available in the log in page. Is it free to submit an order on EssayMojo.com? The process of submitting an order to the system is absolutely free. 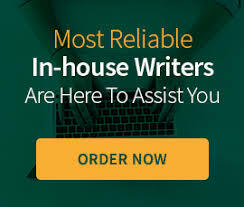 The submitted order will be available for all writers and you have the option of requesting the writer to furnish you with a short introduction in order for you to ascertain their overall writing competency. You will then be required to deposit the appropriate amount for the paper only when you are ready to assign the paper to a preferred writer. Order Completion: When will my paper be done? The paper must be completed within the deadline that you will have specified while filling out the extended order form. Be that as it may, you can negotiate an extension with the assigned writer through the chat service available in our system if you so wish. You should also ensure that are able to inform the writer in advance in case you decide to reduce the amount of time allocated for the paper since the writer could be having a tight schedule. You are able to receive a paper through a download link provided in our system. However, you will only be able to access your paper once full payment has been made. Our system allows you to download the appear either as an MS Word Document or as an Pdf file. In case you are not satisfied with the quality of work from the writer, we advise that you communicate with the writer immediately and furnish them with information regarding what changes can be made to improve the paper. Such communication should be done while the order is still in progress so as to avoid a scenario where the writer is compelled to start afresh. You also have the option of using the chat service as a way of communicating with the writer regarding the progress of the paper while the paper is still being written. However, it is important to note that once the order has been completed and paid for, you will only have the option of ordering for an editing or rewriting service. Both rewriting and editing are options that are available to our clients. These options entail the writer making some changes to the initial paper and as such, are available once you have a draft or the finished copy from the writer. In order to use these services, you will be required to furnish the writer with additional information regarding the paper and you will also have to provide the initial copy since rewriting and editing do not involve redoing the entire paper. Editing allows you to change up to 30 percent of the initial paper while rewriting allows you to change up to 70 percent of the initial paper. We have a 100 percent confidentiality policy whereby our company does not share nay personal information regarding our customers with third parties. In addition to that, we strongly advise our customers against sharing of personal information with writers through the live chat service since we have no way of controlling what information is exchanged through the service. Furthermore, our company’s confidentiality policy prohibits customers from sharing such information with customers. EssayMojo.com is Cyprus based company and our writers are distributed all over the world. Our writers come from both English-speaking and non-English speaking countries. In addition to that, you are allowed to ask the writer information regarding their location through the chat service. EssayMojo.com only employs highly qualified writers with knowledge and education in all the relevant fields. Furthermore, we constantly evaluate our writers in order to ensure that they are performing according to the established standards. One of the most integral features that are specifically designed to evaluate the writer is the writer rating option available in our system. This option enables you as the client to rate and offer any feedback relating to your views on the writer’s performance. The information is available to all clients to enable their preferred writer. What is a writer’s rating? How is it calculated? Writer rating is a feature that is meant to enhance the overall quality of writers’ performance by encouraging competition among writers. Each writer has a rating assigned to them and this rating is calculated based on information provided by clients. Each client is required to rate a writer once they have had an opportunity to work with the writer in question and the overall rating for each and every writer is the average rating of the individual ratings. Furthermore, our system allows you to see how many orders each and every writer has completed and this will enable you to establish how many clients have rated the writer so far. EssayMojo.com requires customers to be the primary managers of their own orders. In light of this fact, it is upon the customer to decide details regarding the time that the writer should be paid. Our own recommendation is that writers should be paid for each component of the work done as soon as such components are completed. However, you should only make the ful payment once the complete paper has been delivered to you. Payments to the writer are based on two factors and these are the number of pages and the deadline for the order. For instance, a 3 page order that has a deadline that exceeds forty eight hours will be paid per page as the writer continues working on the order. The maximum number of splits that can be made for any order is five and as such, a 25 page order will require you to pay for each and every five pages that are successfully completed. Our provisions differ slightly when it comes to more urgent orders that are less than 48 hours. The actual payment to the writer is made by clicking the release button and once this has been done, the customer cannot get a reimbursement of the money paid. 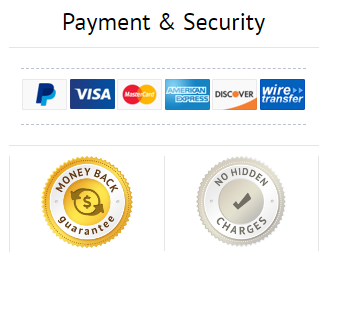 Additional information regarding the payment system and money back guarantee is available in the money back guarantee section. We have a policy that is geared towards ensuring affordability of services to our customers and fair pay to our writers. In light of this fact, we try to minimize our influence in the bidding process with a view of allowing both the writers and the clients to come up with prices that are agreeable to both parties. We offer our customers with an additional service known as “Plagiarism Check” and this service is designed to allow customers to check their papers for any incidences of plagiarism. It is advisable to check for plagiarism on each task delivered to you instead of waiting for the writer to complete the entire paper. Such an approach will ensure that you are in a position to detect incidences of plagiarism in a timely fashion and inform the writer to make the necessary corrections. Writer warning is a quality management feature designed to ensure that writers are able to maintain the highest quality of service to the customers. Precisely, a writer warning is issued whenever a writer engages in any behaviour that is against the policy of EssayMojo.com. Precisely, the warning is issued in the event of plagiarism, lateness, inadequate communication and other such issues on the part of the writer. The warning is meant to accord writers with an opportunity to improve on their performance and if there is no notable improvement, the writer’s employment with EssayMojo.com is terminated. 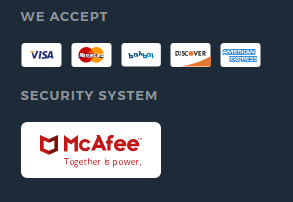 Our system supports payment method through the system itself and directly through PayPal. Paying through the system will require you to load money into your EssayMojo.co account and use this money to pay for our services. Otherwise, you can submit money to us directly through your PayPal account. You are free to delete your account any time you wish. However, if you choose to do so, it is important to note that you will not be able to restore the account or have the company restore the account for you. You can only access our services in future by creating another account. In case of any incidence in which you decide to charge back any money from your account, the charge back will be reflected in your EssayMojo.com account balance. In the event where the charged back amount exceeds the balance, the system cancels all pending orders associated with the account. This issue can only be resolved by contacting our support team.